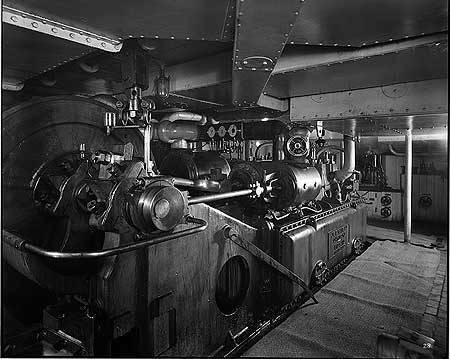 "From the Mantua I was transferred—still as Third Officer, though nearing the top of the list—to the comparatively new Narkunda, a very handsome ship which, with her sister the Naldera, had been given three funnels with the object of impressing the Australians. 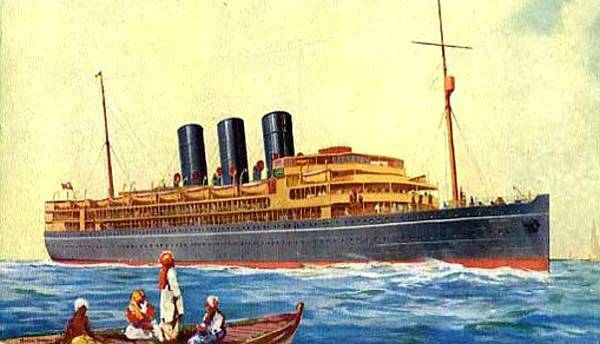 Fashions in ships have changed along with everything else, and people are perhaps more knowledgeable about such matters, but in those days potential passengers were genuinely influenced by such factors as the size and number of the funnels, gauging the speed and powerfulness of the ship thereby. 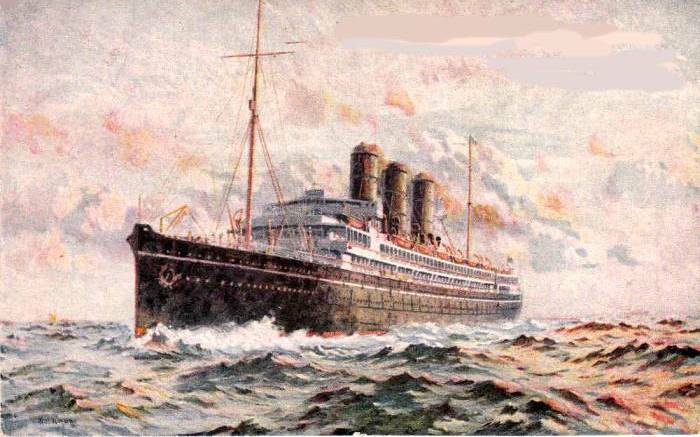 Already the Company was putting into service on the Australian run the Maloja and the Mooltan, giants of 21,000 tons, but the Narkunda—of 16,572 tons precisely—seemed immense to us; we were tremendously proud of her and proportionately enraged when an American passenger inquired: "Say, what is this boat? 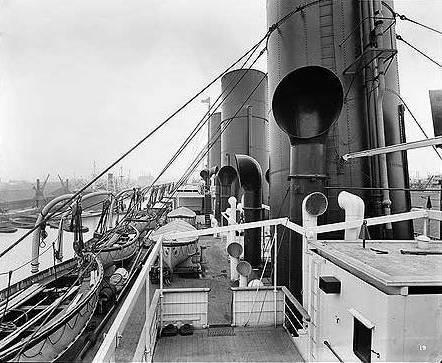 One of the leviathan's tugs?" 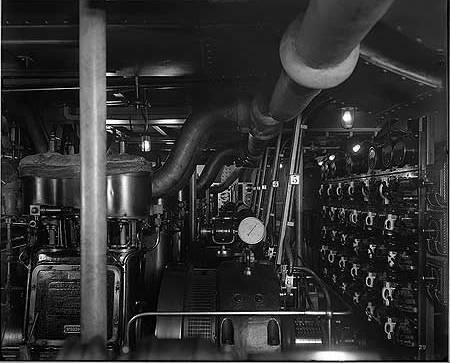 Two views of the Bridge - nerve-centre of the ship. 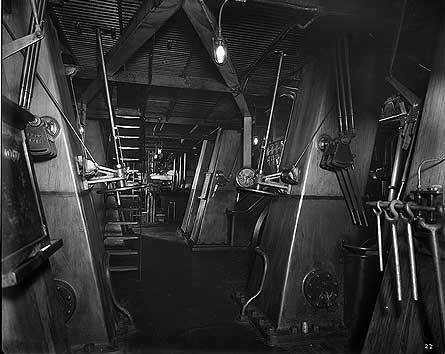 Engine Room - Starting Platform Fridge Machinery by J& E Hall of Dartford, Kent. 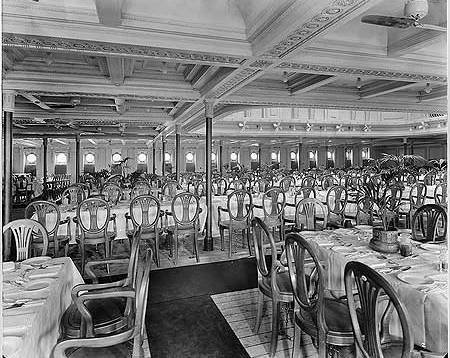 The first and second dining saloons are respectively at the forward and after ends of the midship portion of the main deck, with elaborately equipped kitchens between. 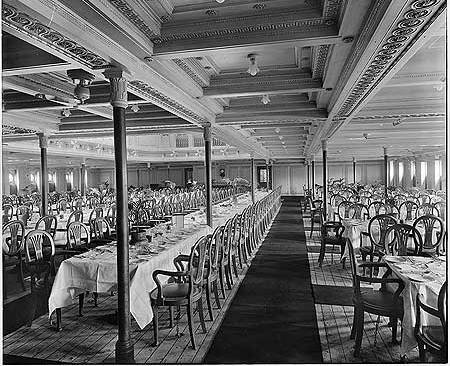 Both dining saloons extend through the width of the ship, and all possible care has been expended in planning their lighting and ventilation. 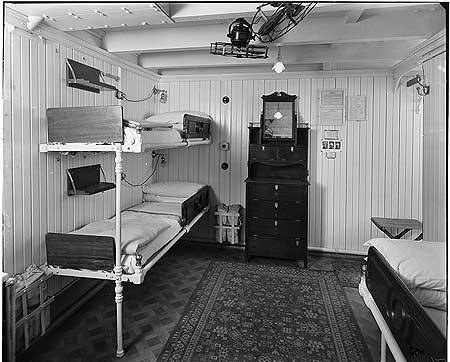 First class bedstead cabins for two persons fill the middle portion of the hurricane deck, on the after part of which are the second saloon smoking and music rooms, and, at the forward end, a double range of single or two-bed cabins. 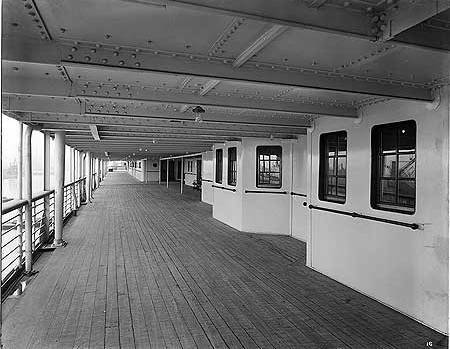 Cabin ports on this deck all open under the shelter of the promenade deck; amidships there is a continuous range of bathrooms. 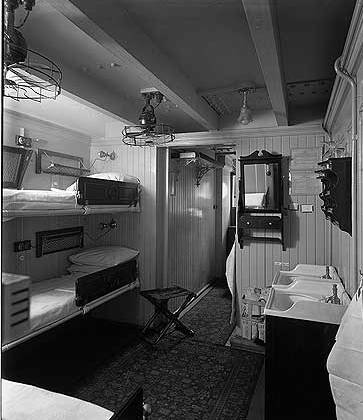 All cabins throughout the ship have lavatory basins with continuous water supply, wardrobes, and, in many cases, writing tables. 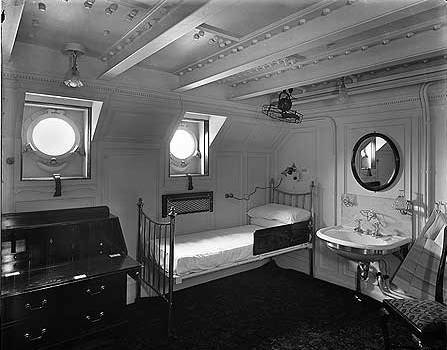 Every cabin, whether of the first or second class, has its own porthole or portholes opening to the outside air. 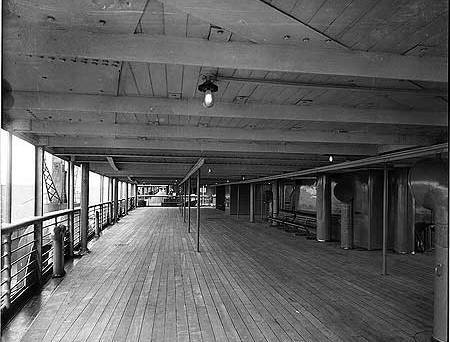 The promenade decks, both first and second class, are wider and longer than are commonly seen. 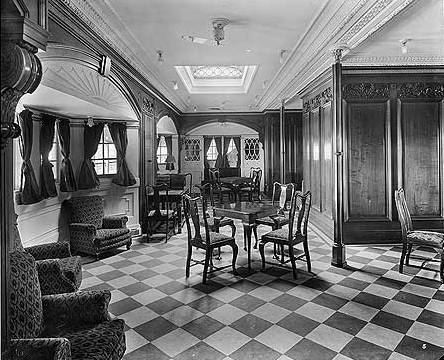 All the public rooms are panelled in dull finished brown oak, with the exception of the first-class dining saloon, the walls of which have been painted to imitate old ivory. 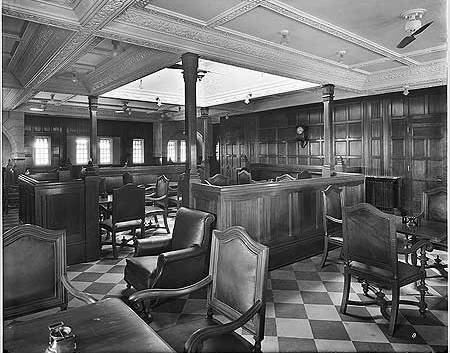 In pleasant contrast with these vellum-like walls are the movable chairs in natural coloured oak. 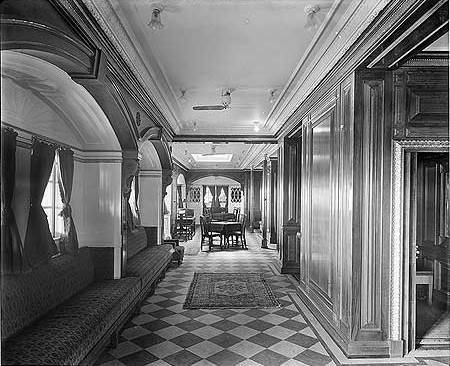 Round the oval well which rises from the centre of the saloon is a riotously painted deep frieze by Professor Gerald Moira. 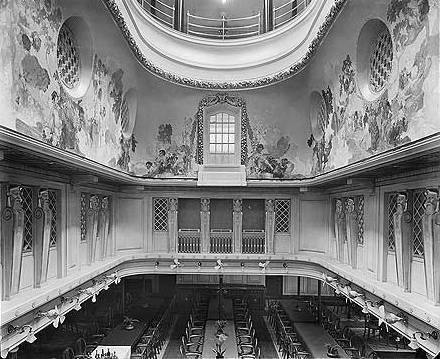 The majestic First Class Dining Saloon Atrium, with its 'riotously painted deep frieze' by Professor Gerald Moira. 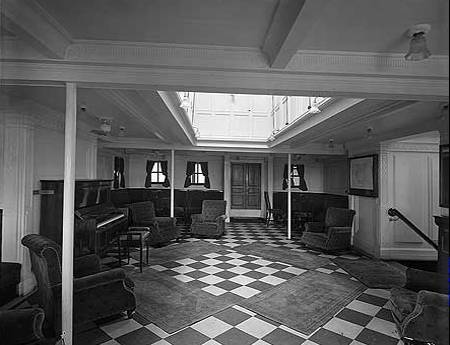 At the after end of the promenade deck is the first saloon smoking room, the furniture of which is in the style of William III and Mary. 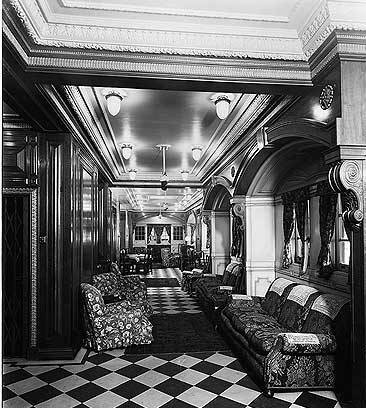 Here are deep, roomy lounges, and big armchairs upholstered in green morocco leather, the walls being panelled between fluted pilasters having carved caps. 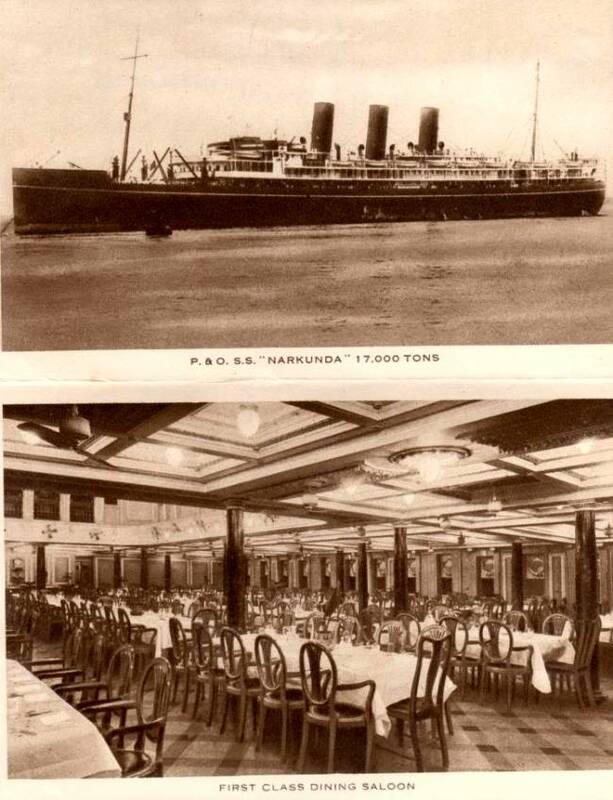 At its after end, the first smoking saloon opens on to a large sheltered verandah cafe, and there are, at the after end of the divan, two smaller wing verandahs with appropriate furniture. 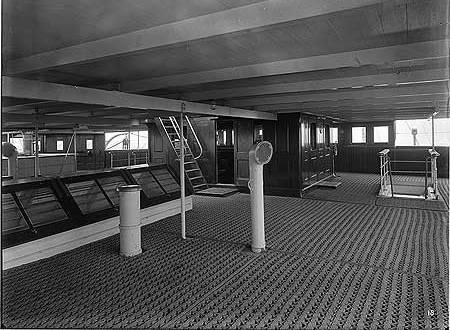 Forward of the smoking saloon on this deck are 20 single-bed cabins with abundant bathroom accommodation. 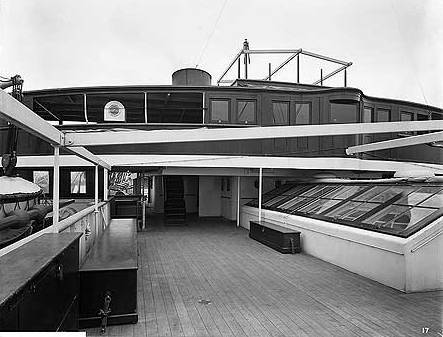 Above the smoking saloon, on the boat deck, is a second verandah cafe facing aft and overlooking the fine sheltered second class promenade on the poop deck. 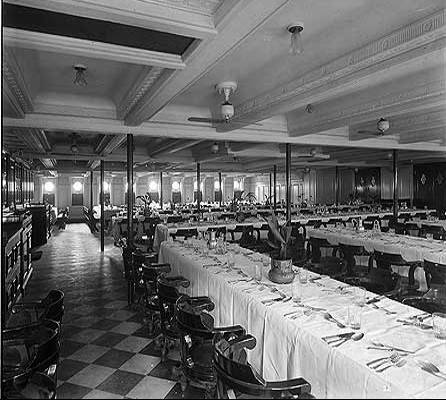 The second class dining and smoking saloons are beautifully panelled and furnished. 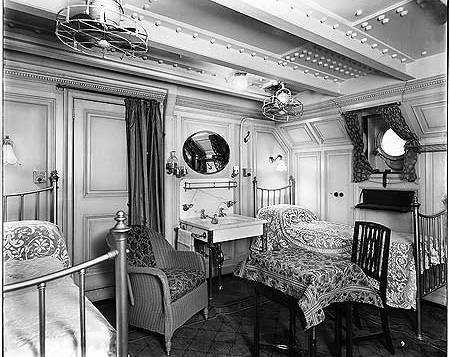 The First Class Divans ~ rooms for smoking and drinking. 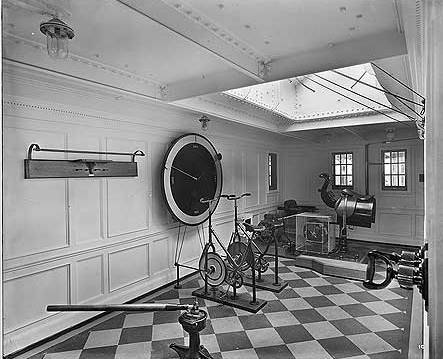 A striking feature of the Narkunda is the gymnasium, which is provided with such novelties as an electrically driven riding horse, a double cycle-racing machine, hydraulic rowing machine, adjustable punch ball, pulley-weight exerciser, nautical steering wheel with artificial resistances, wrist exercisers, dumbells, foils, &c., together with a weighing machine, and a height recorder. 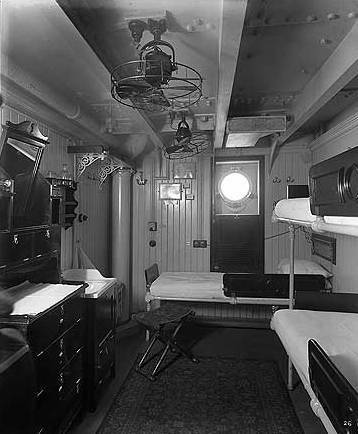 The ship's cabins have cool, white, enamelled walls, berths, each (where there is more than one) with its own electric fan and reading lamp. 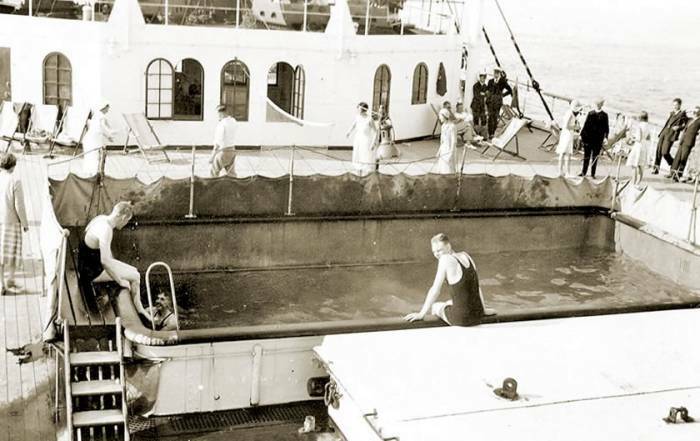 There are specially arranged rooms, known as the "Inchcape"cabins, whose optional combination offers convenient facilities for family parties. 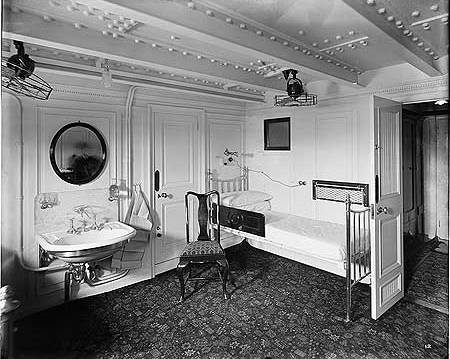 Communication between the successive tiers of first saloon accommodation is rendered easy by two electrically driven passenger lifts.